With the fact that five of the top 100 pharmaceutical drugs worldwide originate from Belgium speaks volumes about how Belgium nurtures internationally renowned scientists and medical doctors. Expats who are concerned about the quality of medical care in Belgium will be glad to know that the country succeeds in sustaining a high level of expertise in the medical field. Belgium's healthcare system is divided into two types: state and private. Patients should be aware that fees are payable in both systems, so ensuring you have health insurance coverage is essential. The state's public scheme provides the patient with the liberty of choosing any doctor, clinic or hospital, in any location and without referral. In essence it works the same way with private health insurance as well. Furthermore, waiting lists are (almost) non-existent in Belgium, which makes the country a prime destination for medical patients from all over the world. There is no vaccination required for entry into Belgium. Residents of the European Economic Area (EEA) and Switzerland can receive free or reduced-cost necessary treatment if they are holders of a valid European Health Insurance Card (EHIC); restrictions do apply, depending on one's nationality. The country has entered into social security agreements with many other nations, including all EU countries and the USA. Expats will find these schemes advantageous, wherein they can remain under their home country's social security scheme for a period. If they qualify for ‘non-resident' tax status, they can continue making social security contributions in their home country while working temporarily in Belgium. It is important to note that EU nationals must obtain forms E101 and E111 from their home country. Americans should be aware that US social security agreements cover pensions only, and that medical and some survivor benefits (particularly Medicare) aren't payable to those living outside the USA. For more information, contact your country's social security administration. All employees, including the self-employed, in Belgium are enrolled in their respective state social security system, with benefits which extend to their immediate family. 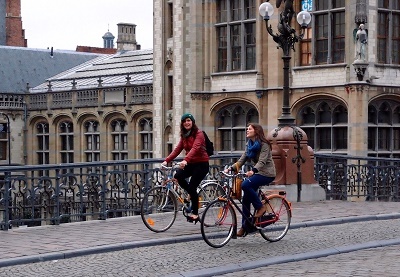 Belgium's basic health insurance is provided by the National Health System, which is made up of various health funds. Residents are required to join but may choose which fund to join. An employer must provide information about the available funds and an employee should ask for recommendations from colleagues. Both employers and employees make contributions to the employee's chosen fund. Coverage extends to dependent family members. Foreign retirees who come to live without having worked in Belgium must produce proof of health insurance cover in order to be issued with a residence permit. For most medical services, patients must first pay their own bill and later get the costs reimbursed. A doctor's referral is not necessary for hospital treatment; you can arrange to see a specialist of your choice at any hospital. Accident & Emergency departments offer immediate treatment. You can easily purchase medicines from any pharmacy in Belgium but, in most cases, a prescription is needed. The pharmacist should issue you a certificate that details the medicine provided and the amount paid. You can then claim a reimbursement from your Belgian health organization.